When a technical descent requires a rappel, choosing to add an extension is often beneficial for adding safety and efficiency. There are a variety of methods for creating rappel extensions, each one carrying advantages and disadvantages making use of materials and application important. With this in mind we will explore some of the ways to extend rappels while looking at the nuances of the individual methods. First, lets take a look at the girth-hitching methods. The girth hitch with anchor attachments has come under scrutiny in the last decade due to it causing weakening of the material used, so it is best to use nylon and stay away from super static, ultra-high-molecular-weight polyurethane, (UHMWPE) materials like dyneema for this application. 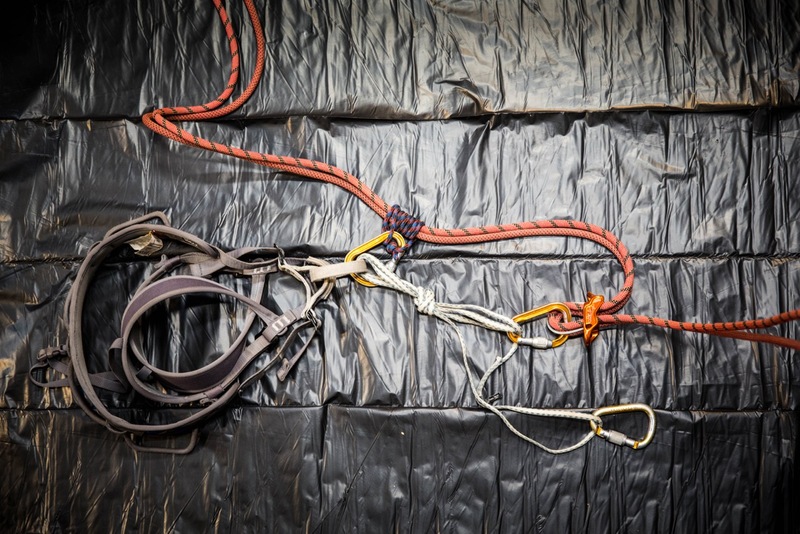 This “girth hitched master-point” method makes a very obvious master-point for the rappel device and attachment to the anchor. Once you start to descend you clip the anchoring carabineer to your belay loop to make the system redundant while on rappel. The downside to this method is you should use nylon and the tether is not all that long as tying the master point eats up a lot of material. 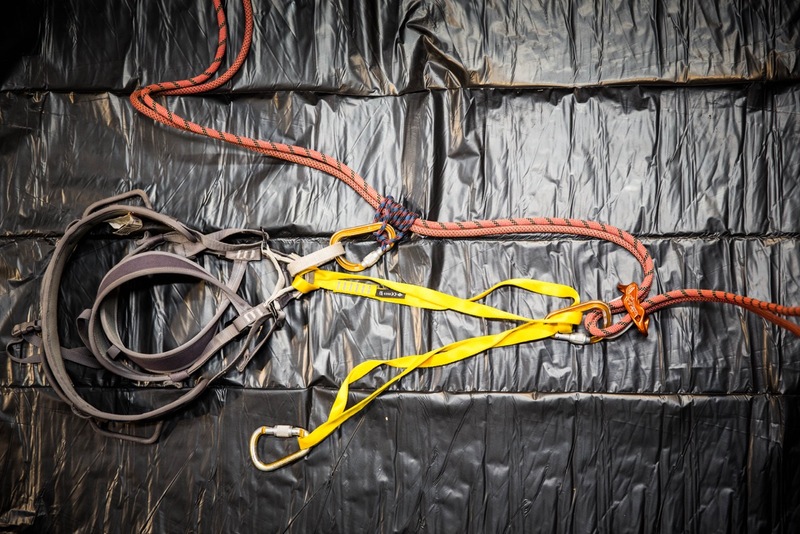 This second method, the “girth hitched overhand” method also uses the girth hitch and is a great way to use the full length of material for the anchor attachment allowing more comfort at the rappel stations. The anchor attachment can again be clipped to the belay loop upon decent to achieve some redundancy. The down side to the method is needing to use nylon and also the bulky overhand knot that stays in the carabineer. This knot can make it hard to work with the carabineer and it has an ambiguous clip-in point for the rappel device. The next series of extended rappels we will look at involve basketing instead of the girth hitch. This allows us to use UHMWPE type materials like dynema without compromising the strength of our tethers. Below is the “basketed sling with an overhand” method. This method creates a full strength extension with redundancy at every part. 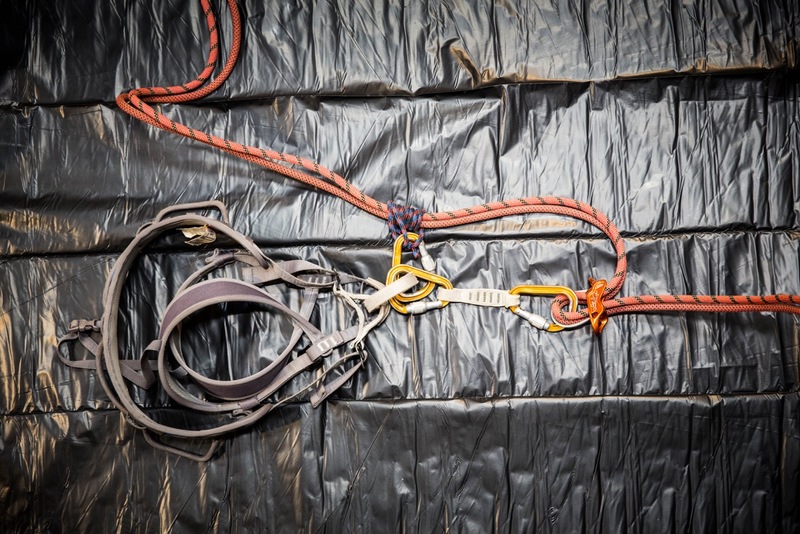 It is best used for single pitch rappelling as it does not have a separate anchor extension and can be cumbersome to clip in during multi-pitch descents. The basketed offset overhand method shown below provides a longer extension for clipping into anchors while allowing the use of UHMWPE type materials. 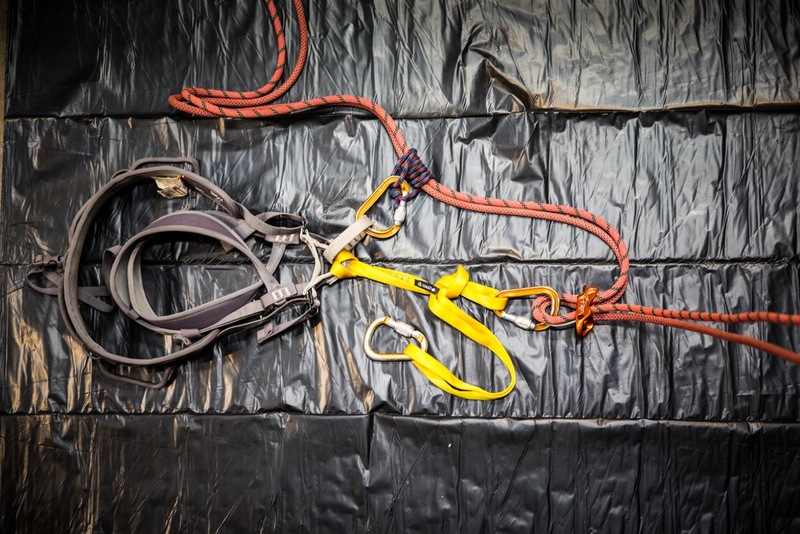 It also provides a redundant place to clip the rappel device which can be important for long and or multiple rappels due to the lower melting point of UHMWPE materials. Sometimes it is nice to separate your tether from your rappel in this bottom example a locking draw extension is used to rappel and then you can choose what ever independent attachment to the anchor that you would like. This can allow for long extensions and more comfort at the anchors. 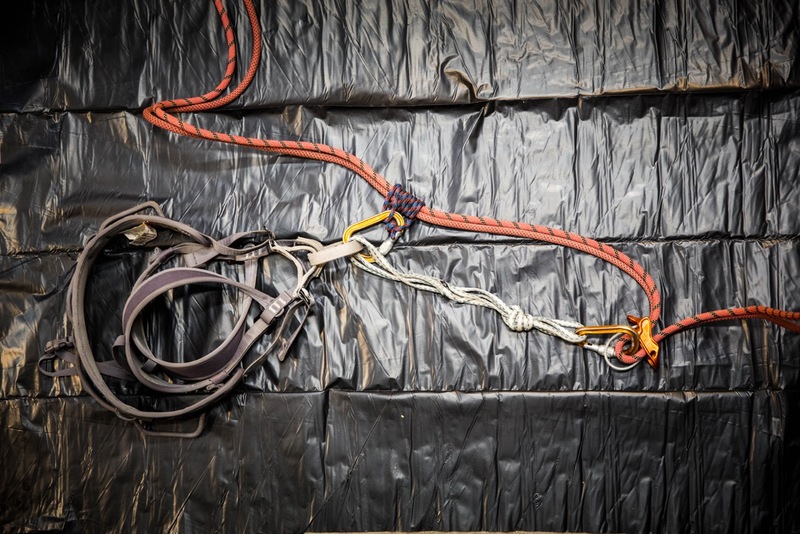 Learning these extension methods will help you improve the efficiency and safety of your rappelling systems. The 3rd to last and 2nd to last pictures should be swapped I believe? Thanks for the comprehensive review! Thanks for catching that, Spencer! The photos have been updated. What’s up, cool site you have going here.